Have you noticed any small, white robots driving around CMK lately? American robotics firm Starship Technologies have chosen Central Milton Keynes to be the testing ground for their new autonomous delivery robots. The city’s grid layout and step-free pavements make it ideal for testing the electric bots, which are designed to bring groceries and parcels direct to people’s homes. 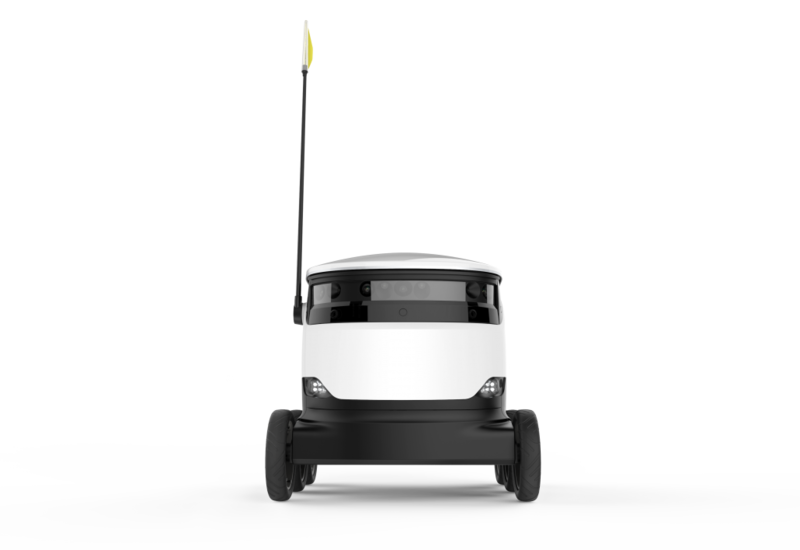 The company hopes that Milton Keynes residents will have access to the new technology before anywhere else in the country, with a new service launching shortly allowing any local business in MK to use the robots and start delivering to their customers at a low cost. Starship has also been working with local charities such as Willen Hospice, and is offering local charities and community organisations free use of the technology. If you’re a business owner and are interested in offering local delivery with Starship, you can get in touch at business@starship.xyz.